Almost 10 hours of runtime with the extended battery easily puts this laptop into the all-day computing section. System performance with the Intel T9400 processor & ATI 3470 graphics was great, handling everything they threw at it, even some video games. The T400 is not without its flaws though, having a decent amount of keyboard flex as well as a keyboard light that blinds you. Even with its flaws, with a beginning price under $1,000 this laptop easily outperforms any other pc in its section. While the Lenovo ThinkPad T400 isn’t exactly hip or something you’ll choose to win looks at a coffee shop, it is certainly practical and a laptop that is built to last. If you’re heading into a professional school such as law, business or medicine it might also fit the scene better there than say a bright blue colored Dell or Sony. 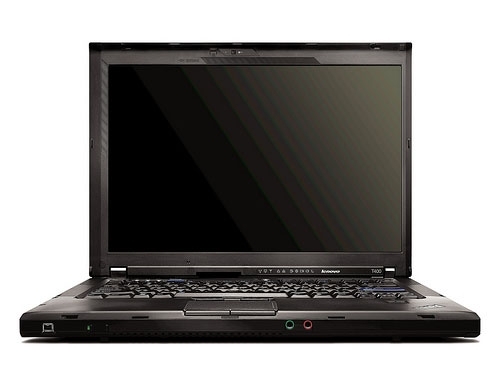 Reliability and durability should certainly be a major factor in purchasing a laptop, and the ThinkPad T400 meets that requirement. The 14-inch screen size is a sweet spot for a balance between portability and having enough screen real estate to be productive. 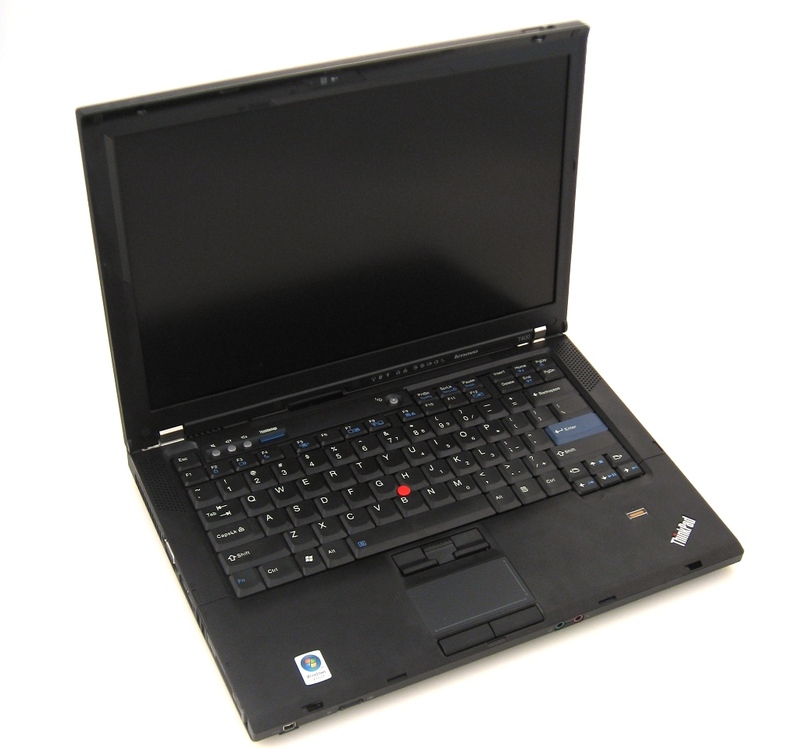 There is a lot of room to configure the T400 to your needs and budget at Lenovo.com so take advantage of that, and also take advantage of the fact Lenovo offers a student discount to many colleges that can save you 5% or so off the cost of any ThinkPad. The high brightness display option on the updated T400 looks excellent and doesn’t take a huge bite out of your battery under normal activities. With most high brightness screens the power consumption is high even at lower brightness settings and what we found with the T400 is the impact on the battery is minimal at worst. On the 6-cell battery we managed 5 hours and 58 minutes of battery life, right on the mark with the previous T400 that used hybrid graphics. The updated keyboard support is my favorite change, knowing that Lenovo listened to feedback from users and improved the design. Overall, if you are in the market for a business notebook that is usable in direct sunlight, the T400 with the high nit screen option is the way to go. ThinkPads are the three-piece power suits of the laptop world, delivering sturdy hardware and high-end components in an unassuming black chassis. 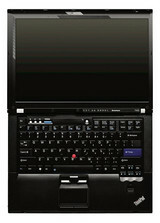 The new Lenovo ThinkPad T400 is no exception. Excellent battery life and useful productivity applications are wrapped in a sturdy shell, offering business travelers an efficient platform for getting things done. 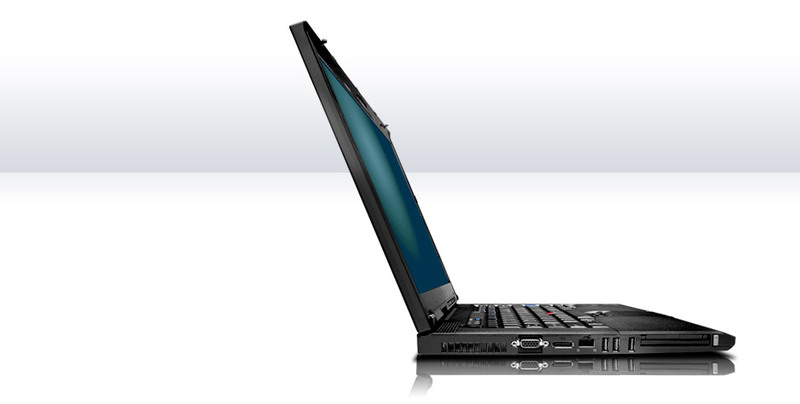 The Lenovo ThinkPad T400 is an all-purpose laptop that makes a pretty compelling package. The Thinkpad T400 gives you sturdy construction, great battery life, smart design, and some useful special features - all in all, a good deal. ThinkPads are the three-piece power suits of the laptop world, delivering sturdy hardware and high-end components in an unassuming black chassis. The new T400 is no exception. Excellent battery life and useful productivity applications are wrapped in a sturdy shell, offering business travelers an efficient platform for getting things done. Though Lenovo's ThinkPad T400 costs more than Acer's TravelMate 6293, this all-purpose laptop is a pretty compelling package. 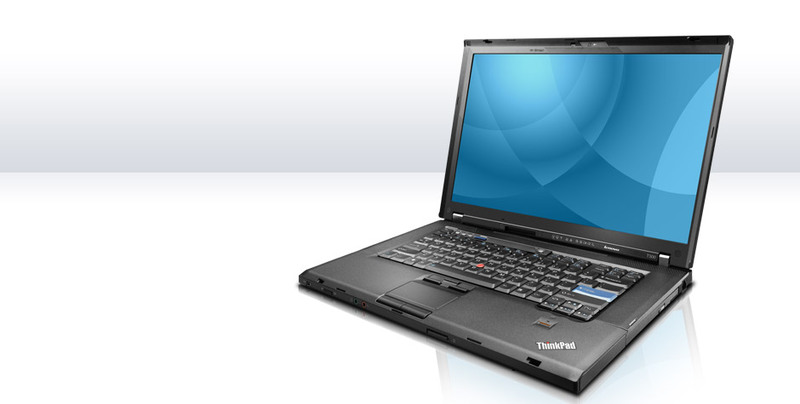 At $1419 (as of March 9, 2009), the Thinkpad T400 gives you sturdy construction, great battery life, smart design, and some useful special features--all in all, a good deal. 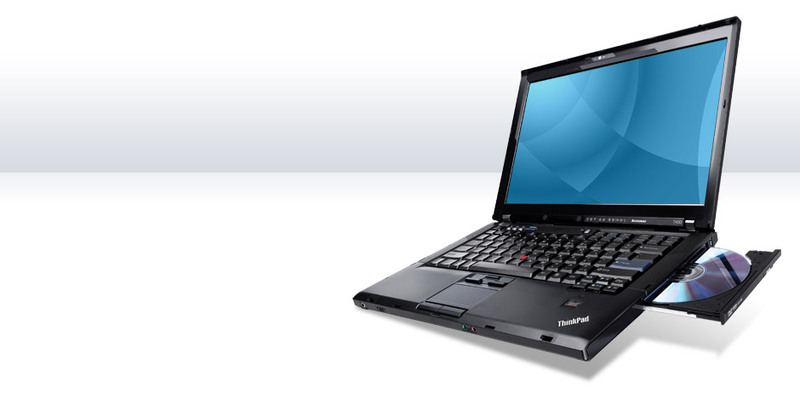 Lenovo has presented a worthy successor to the T61 series with the T400. Every piece of the hardware, from the processor to the RAM to the HDD, was a solid choice by Lenovo and performed well under our testing. The battery life was excellent, in part thanks to unique features like Switchable Graphics, which let you switch between integrated graphics and the dedicated 256MB GPU at will. The brightly lit WXGA+ display was easy on the eyes and there were just enough peripherals (fingerprint reader, webcam, keyboard light) to keep us interested. Further, it was portable enough that we didn’t think twice about carrying it all over the office. Overall the computer was a great worker and did everything we asked, even if it didn’t drop our jaw with anything too astounding. 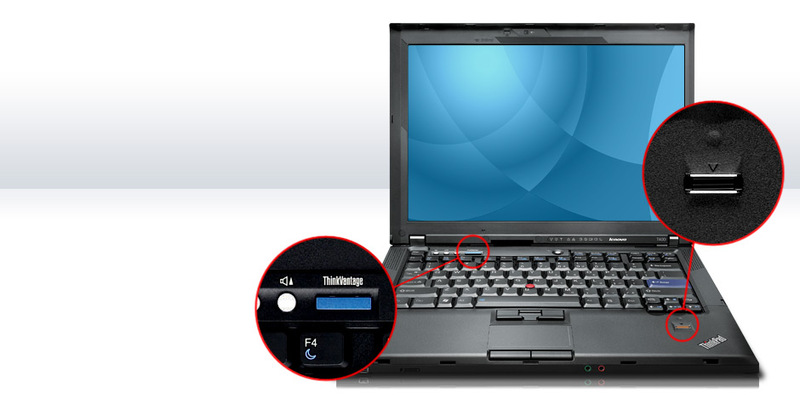 Nothing epitomizes classic more than a ThinkPad. Lenovo is the one laptop maker that would be castigated for changing its flagship brand's color scheme to something other than black. 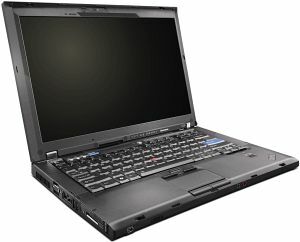 The ThinkPad T400 ($1,580 direct) is the culmination of years of building on a solid foundation, including nothing but the best parts, features, and materials in its ho-hum chassis. Lenovo's T-Series has once again set the bar for business laptops with up-to-date performance parts and a new Centrino 2 feature named Switchable Graphics. The Lenovo ThinkPad T400 proved to be an exceptional 14" business notebook, giving almost unheard-of battery performance under modest running conditions. Nearly 10 hours of runtime with the extended battery easily puts this notebook into the all-day computing category. System performance with the Intel T9400 processor and ATI 3470 graphics was great, handling everything we threw at it, even some video games. The T400 is not without its flaws though, having a decent amount of keyboard flex and a keyboard light that blinds you. Even with its flaws, with a starting price under $1,000 this notebook easily outperforms any other computer in its category. P8600: CPU rápida pero no cara. Para la mayoria de los juegos y aplicaciones multimedia es suficiente y gracias al TDP de 25 vatios es usable incluso para los portátiles más pequeños. 82.4%: Esta evaluación es para ser considerada como promedio, porque la cantidad de portátiles con mejores evaluaciones es casi la misma que la cantidad con evaluaciones peores.